Inspired by the 50th and 30th memorial anniversaries of Mahatma Gandhi and Dr. Martin Luther King, Jr., this 64-day educational, media, and grassroots campaign is dedicated to demonstrating that nonviolence is a powerful way to heal, transform, and empower our lives and our communities. To register for the on-site event: Please Click Here. Organizer of a group of Sacred Masculine men to share from their heart. Forgivness Forum - Why Forgive? Eileen Barker a San Francisco Bay Area attorney, has added a new twist to the practice of law - forgiveness. Ana Holub, MA, teaches forgiveness and recovery from addiction as a counselor, author, poet and educator. She holds a BA in Peace Studies and an MA in Dispute Resolution from Pepperdine University School of Law. Ana is also a certified domestic violence counselor, Radical Forgiveness coach and recovery coach. Ana is deeply inspired by her daily study of A Course in Miracles, meditation and yoga. From her own difficult childhood to becoming a successful counselor, Ana knows firsthand the benefits of using forgiveness as a tool for inner peace and freedom. Over the past twenty years, she's worked with thousands of people, including couples, at-risk families, hospice patients, non-profits, businesses, and schools. Ana's mission to extend peace includes her work with inmates in prison (San Quentin) and juvenile offenders. 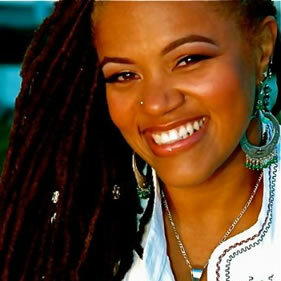 She has provided restorative justice, poetry, and mindfulness meditation to incarcerated people since 2002. Ana teaches workshops internationally on forgiveness, recovery from addiction, self-empowerment, women's issues, emotional healing and communication skills. She has presented her work in Singapore, Argentina, Mexico, Poland, Czech Republic, and around the United States. Her books include Forgive and Be Free, The Edges Are Friendly, and a chapter in Colin Tipping’s book, Why You Still Need To Forgive Your Parents. She also created The Healing Power of Forgiveness audio CD and several online courses, including Forgive and Be Free of Your Addictions. 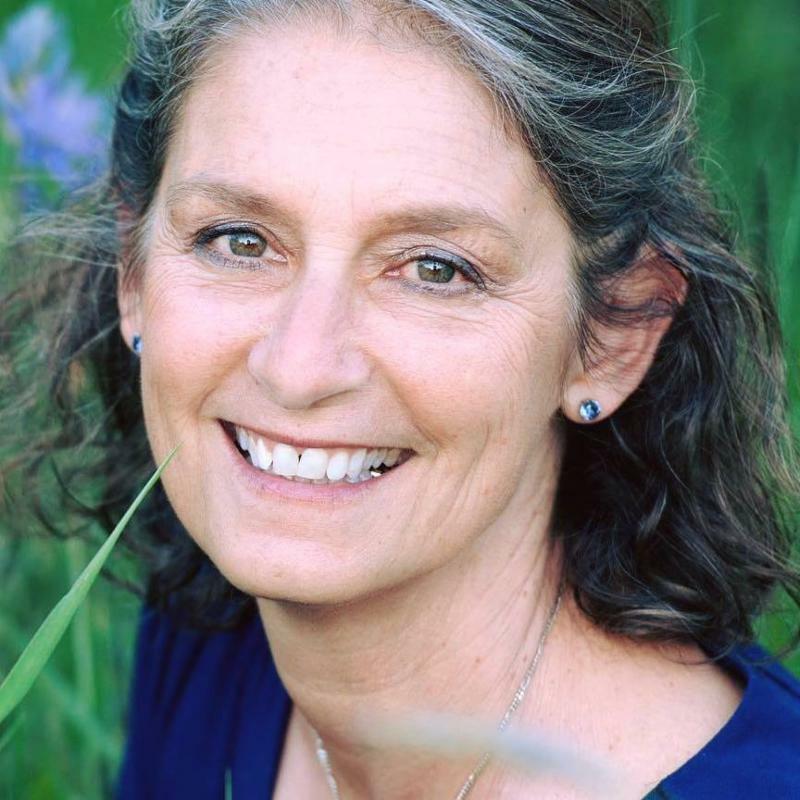 She's worked for over 20 years in the field of restorative justice and reconciliation, teaching her clients practical skills for living boldly in harmony, strength and empowerment. Find out more at anaholub.com. On June 10, 2007, Carmen Blandin Tarleton's estranged husband broke into her rural Vermont home, beat her with a baseball bat, and doused her with industrial-strength lye. Doctors called it "THE MOST HORRIFIC INJURY A HUMAN BEING COULD SUFFER." Tarleton spent the next three and a half months in a medically induced coma, and when she awoke, it was to an unimaginable reality: she was blind and permanently disfigured, with burns covering more than eighty percent of her body. 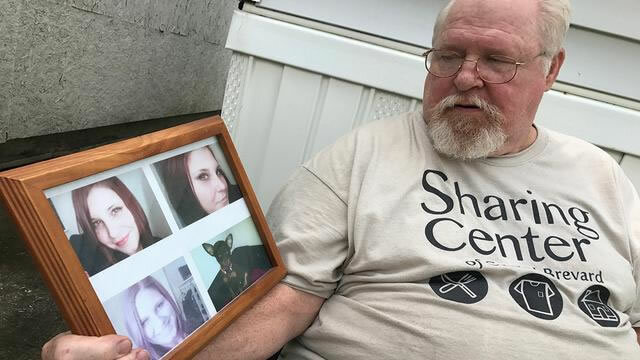 Her recovery would include months of painful rehab, dozens of surgeries, and total dependence on family, friends, and strangers for physical and financial care. With so much taken away, no one could have anticipated what Tarleton would gain from her experience: an awakening. A purpose. Joy. By sharing her struggles and ultimate victory over catastrophic loss, Tarleton proves that life is a choice-and, in the process, offers a rare glimpse into the best and worst corners of the human heart. 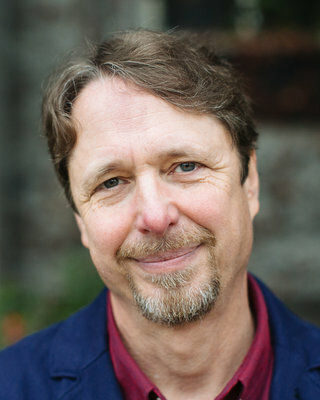 Dan Craig-Morse, MFT, a therapist in Sebastopol, has worked extensively with an empathic communication process with couples and families and has provided trainings on this process for military families and child care workers around the country. Dan has worked within the men's community to help promote our Sacred Masculinity to foster a consciousness of presence and compassion during this age of the #metoo movement. He organized a Men's Forgiveness Ritual for the women a recent Magdalene Easter Moonrise Service led by Christy Micheals. Dan has also been involved in working with esoteric spiritual traditions to help provide guidance and ballast during these "transitional" times. Jane Jennings Has been teaching forgiveness since the 80's. She has worked with AIDS patients during the height of the crisis Has helped people in hospice make their peace. And for many years she worked with the victims of domestic violence. Helping women move on with their lives. She is been a practitioner for the Church of Science the Mind for the last many years. Eileen Barker, a San Francisco Bay Area attorney, has added a new twist to the practice of law - forgiveness. Eileen is a practicing litigation attorney who specializes in the contentious world of mediation. She has learned through experience that even when a settlement is reached, there can still be resentment and mistrust between the parties involved. So, Eileen now takes the process one step further. She coaches her clients to integrate emotional healing and forgiveness in the conflict resolution process. 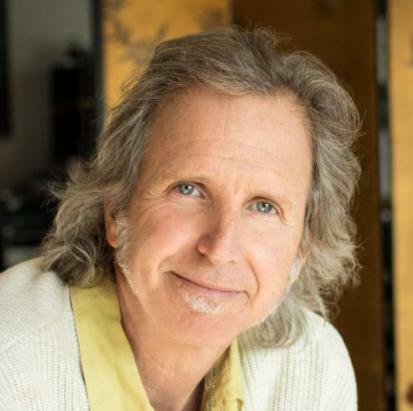 Andrew Bozeman is a distinguished speaker, coach, writer and trainer with 35 plus years experience as an ordained minister who ties spiritual teachings to quantum physics. He has enjoyed successful careers in management coaching and technology training. He has developed the healing process of Functional Forgiveness. Andrew's featured talk, "Stop Slamming the Door in Your Own Face"explores the tools the human body has available through self-forgiveness to combat and reverse the effects of negative behaviors that block success. Her Murder Stirred A Nation, Inspired A President and Moved Her Parents to Forgive! She Died "Fighting For What She Believed In." Her Father Forgave Her Killer! This Will Be Rev Andrew Bozeman's Final Appearance After 10 years as a fixture in the work of the Worldwide Forgiveness Alliance and perennial host of the Forgiveness Day Awards Ceremony, Andrew Bozeman is moving across the country to his family compound in Copehagen NY. There he will continue his spiritual practice and forgiveness teaching in a new region. So, this 21st Annual Forgiveness Day Awards Ceremony will be his final appearance as our host. His presence will be missed. Please join us in bidding farewell to Andrew. Archbishop Tutu was the winner of the Nobel Peace Prize in 1984 for his fearless work to oppose the oppression and injustice of the apartheid government of South Africa. 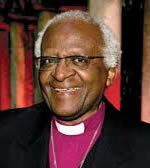 When apartheid collapsed and Nelson Mandela was elected President of South Africa, Tutu was named the head of the Truth and Reconciliation Commission. There he was able to put his mission of forgiveness and reconciliation into effect. Since then he has won numerous humanitarian awards, written several books including the international best seller, No Future Without Forgiveness,and founded The Peace Centre, the Tutu Foundation and the International Forgiveness Challenge to continue his work for peace throughout the world. He will soon release the book he co-wrote with the Dalai Lama, The Book of Joy. 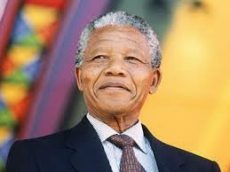 For his politically powerful, country saving work in the field of forgiveness, Nelson Mandela will be posthumously awarded the Champion of Forgiveness, Reconciliation and Peace Award. His grandson will receive the award at a ceremony in New York City. The presentation will be video streamed at the Forgiveness Day celebration. The Forgiveness Day Award Celebration will be held on Friday October 7, 2016 at the Mill Valley Community Center from 7:00 – 9:00 PM. Eileen Barker, a San Francisco Bay Area attorney, has added a new twist to the practice of law – forgiveness. 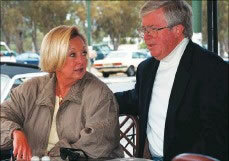 Eileen has focused her practice on mediation and conflict resolution for over twenty years. 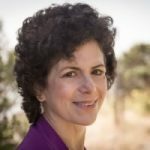 Besides helping thousands of people resolve disputes outside of the courtroom, she has taken her work into a deeper exploration of forgiveness to help teach others how to resolve conflict and make peace, both with others and oneself. For her groundbreaking work in the field of forgiveness, Eileen Barker will be honored as a Champion of Forgiveness by the Worldwide Forgiveness Alliance. The award will be presented on Forgiveness Day, Friday October 7, 2016 at the Mill Valley Community Center. He earned his Bachelors degree at the age of 17. His master's degree thesis was titled; "The Scattering of X-Rays by Solids" which he believed would lead to a career in science and academics. But he soon found himself following in the footsteps of his uncle, Sadhu T.L Vaswani an illustrious and greatly respected guru in India. 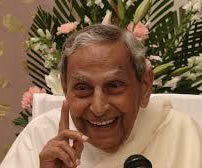 Upon his uncle’s death, Dada took on the role of spiritual leader of the Sadhu Vaswani Mission which he has led for the past 40 years. Despite his advancing years and his full schedule, his desire to promote world peace drove him to expand his reach even further. For his innovative work in the field of forgiveness, Dr. Leonard Laskow will be honored as a Champion of Forgiveness by the Worldwide Forgiveness Alliance. He uses ancient and cutting-edge healing techniques, self-awareness, energy work, and practical exercises to help one directly experience love as a healing force. He has introduced forgiving into the process as a way of clearing the spiritual “palate” for truly loving oneself more deeply. 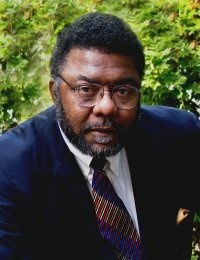 When the young African American, Oscar Grant, was shot and killed while handcuffed by a police officer, his uncle, Cephus "Uncle Bobby" Johnson, went through an emotional roller coaster, He felt rage, pain, shock, grief and revenge, but most all the need to do something. That need led him to become a much beloved presence and invaluable resource for families suffering from police violence around the globe. 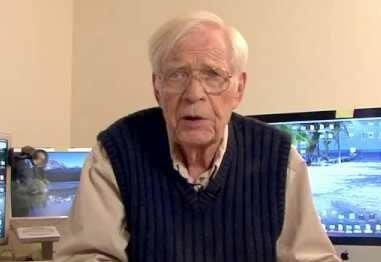 We are very saddened to announce the passing of our beloved founder and leader Robert W. Plath. Bob's Celebration of Life is the 20th of December 2015 at Corte Madera Recreation Center - 498 Tamalpais Drive - Corte Madera, CA 94925 from 3pm to 5pm with a potluck to follow. On Friday 13th of November at 1.52 pm our founder, leader and creator of International Forgiveness Day, Bob Plath surrounded by loving family and friends passed away. We will miss this amazing man and the incredible passion he brought to his mission. "To bring the healing power of forgiveness to this planet". People all over the world held him in their hearts as he made his transition. Bob is loved by all who knew him and he touched so many of us with his compassion and forgiveness. Bob above all was optimistic that forgiveness can change the world. He would want us to carry the torch and we will! We will miss you Bob and will hold you forever in our hearts. The Forgive campaign video has almost reached 50k views. We did over 35 posts on social media with a collective reach of more than 3 million impressions, including one post 'the wave of forgiveness' that was shared more than 25,000 times. Facing The Painful Challenges Of The Year Of Forgiveness! When Rev. Sheila Gautreaux and her church congregation declared the year 2015 as The Year of Forgiveness, she was amazed at the suppressed anger and resentments that rose to the surface. Rev. Sheila is the assistant pastor of the Unity Church of Walnut Creek, CA. She serves under the leadership of the pastor, Rev. 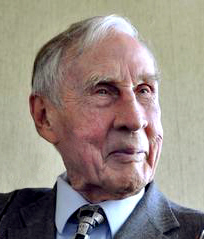 David McArthur, who was honored as a 2012 Hero of Forgiveness by the Worldwide Forgiveness Alliance. Their Year of Forgiveness goal is to build a powerful foundation of forgiveness within their church. Instead of the rosy celebration they expected, their effort has brought them face-to-face with long seething resentments, slights and insults. Such negative emotions can, and often do, live beneath the surface of any organized group of people. According to Rev. Sheila, the challenge of achieving a state of deep forgiveness is both a blessing and curse. The emotional energy demands in dealing with long dormant issues are significant. There is also the pain of confronting her own errors and missteps that have contributed to the underlying discontent. On the other hand, the final achievement of the forgiveness state is joyous and incredibly satisfying. Rev. Sheila Gautreaux will be honored as a Champion of Forgiveness at the 19th Annual International Forgiveness Day Awards Ceremony on Sunday August 2, 2015 where she will share her experiences and her vision for the future of forgiveness. Rev. Sheila is an inspirational speaker, author, coach & teacher of the Radical Forgiveness discipline, retired opera singer, mother and grandmother. For the past 16 years, she has been presenting the esoteric teachings of the Bible in classes and workshops throughout the U.S., Canada and the Caribbean. 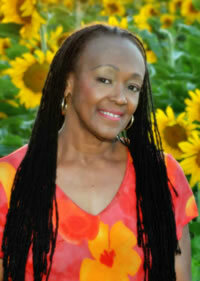 She is the founder of Spiritual DIVAS: Divinely Inspired Visionaries . . . Awakened, a motivational and empowerment process and program for women. Now Her Music Has Made Her a Healing Angel to the World. In 1982, one week before entering medical school, Amikaelya Gaston was sitting in a field preparing for a musical performance in a festival when hate struck! A group of young white men spotted her in the field, turned and drove their truck across the grass to run over her. She was dragged 86 feet under the truck. Her body was jammed between the hot exhaust pipe and the rear wheel inflicting third degree burns on her severely injured body. In her near-death state she became aware of three highly motivated women who lifted the truck to get to her. Then they dislodged and pulled her from under the truck. Amikaelya, who is a multi-talented musician and vocalist, spent the next two years in hospitals enduring multiple surgeries and painful treatments for her severe burns. She said that the pain was so great that powerful pain killers couldn’t mask it. The only thing that would alleviate the pain was music. Music was played in her room 24-hours/day and only certain types of music would work. Since then, Amikaelya has won numerous awards for her music and now shares her music around the world to help heal others and spread love. She bears no hate and has forgiven the men who tried to kill her. They were convicted of a hate-crime. Amikaelya Gaston will be honored as a Hero of Forgiveness at the 19th Annual International Forgiveness Day Awards Ceremony on Sunday August 2, 2015 where she will share her experiences and her vision of love, healing, music and forgiveness. Father Molested Her from 8 years old to 12 years old. 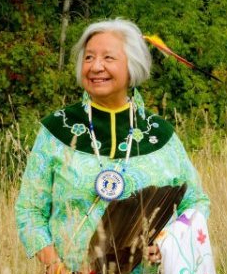 Linda Woods grew up as a member of the Odawa (Ottawa) tribe in Michigan. Her early years were spent with her grandmother until she was 6-years old. Then she went to live with her mother and step-father after they married. When she was 8, her step-father began molesting her and telling her not to tell her mother or anyone because no one would believe her. His sexual assaults continued until she reached the age of 12 when she somehow found the strength to tell him No. He stopped. Because he told her not to tell, Linda went into a shell of silence for decades before she told anyone what destroyed her spirit. She grew up and went into the Air Force and went from one disastrous relationship with men to another. She tried to hide in alcohol addiction but that only made it worse. After her discharge from the AF, she and her husband moved to California where she found sobriety at 26. She still experienced years of emotional pain, failed relationships and spiritual starvation. Then at ten years of sobriety Linda had a spiritual awakening with a dream of Jesus and thus, began a long needed healing process. It wasn’t until the age of 47, that Linda returned to Michigan to face the childhood trauma and she endured now that her parents were sober. Finally, in her 50s, she had another spiritual experience in which she says that Jesus guided to forgive her step-father. Out of the forgiveness and compassion she was able to tell that she loved him right before he passed on in 2006. Now Linda is living a full life happy and free of the emotional pain she knew for so long. She is a proud mother of two sons and grandmother of five grandchildren and a great-grandmother of one. She is an enrolled tribal citizen of the Grand Traverse Band of Ottawa & Chippewa Indians in Michigan. She is respected in her community as a veteran and tribal elder. Tutu Global Forgiveness Challenge and Worldwide Forgiveness Alliance Invite You to Join the Movement! Desmond Tutu, winner of the Nobel Peace Prize and international statesman for reconciliation and forgiveness has announced the launching of his global Forgiveness Challenge starting on May 4, 2014. Click on our Forgiveness Challenge link below and sign up to become an activist for forgiveness. On his website you’ll find answers to your questions about forgiveness and even learn how to forgive! Remember, the act of forgiving can bring more love and peace to your life. When enough of us forgive—we can change the world! On the 2nd of August 2015 The Moment of Calm are asking that you take a moment to forgive. Last year 1.7 Million people took that moment. 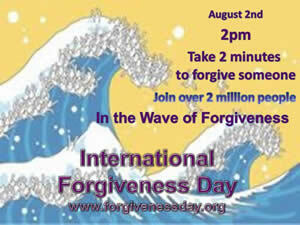 So on the 2nd Of August at 2 pm wherever you are you are invited to take 2 minutes to Forgive someone! 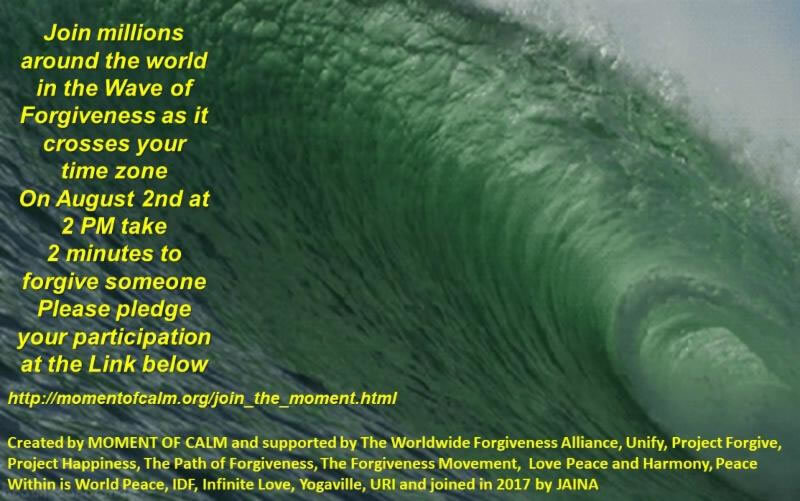 This year on Forgiveness Day a wave of Forgiveness will roll over the planet! More then 2 million people practicing Forgiveness! As the earth turns! The Worldwide Forgiveness Alliance is a non-profit organization whose mission is to evoke the healing spirit of Forgiveness worldwide. We declare that "Forgiveness Is the Greatest Healer of Them All" and that "Without	Forgiveness There Is No Future". To establish an International Forgiveness Day in every village and hamlet across the world by the year 2025. To bring the curative powers of forgiveness to the elderly, to youth, to chemically dependent and/or abused women, men and children through classes, workshops and seminars. To promote the practice of forgiveness as a Life Skill and to develop curriculum, classes and workshops for children, youth and adults of all ages. To create forgiveness workshops and seminars in corporations to effectuate breakthroughs and help increase net profits. The benefits of forgiveness training breakthroughs make possible more creative, stress-free and happy job relationships which can increase net profits. To promote and publicize the research findings that Forgiveness creates better health, abundance and ease, more joy, greater optimism and hope and lessens depression, stress, illness, disease. Forgiveness also opens one to more lasting, happy, supportive relationships. To help develop and conduct further research to quantify and codify the powerful effects of the applied practice of forgiveness in a multiplicity of settings. To create entertainment/learning events (Forgiveness Film Festivals, Forgiveness Concerts, etc) in communities around the world.